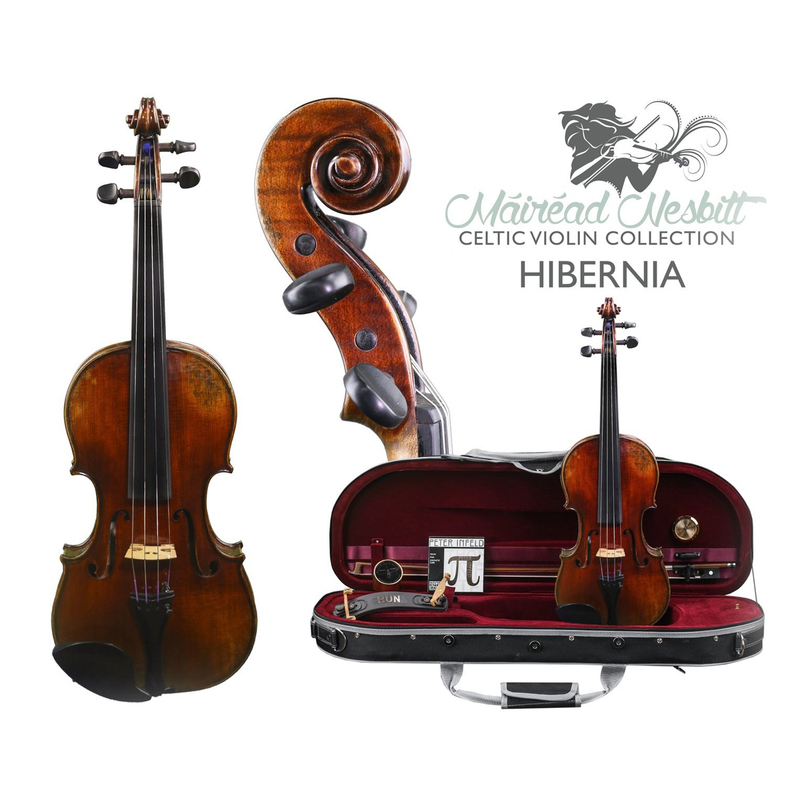 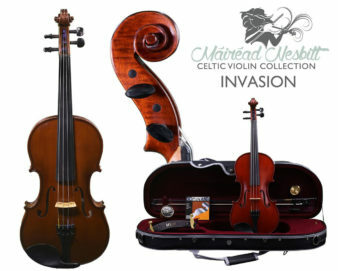 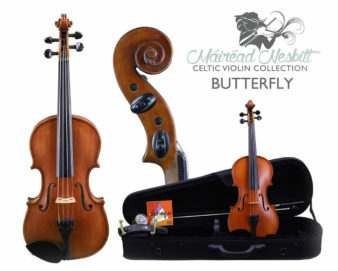 The Hibernia Model is the most outstanding violin in the Máiréad Nesbitt Celtic Violin Collection. 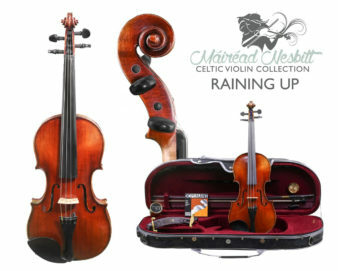 Handcrafted in a workshop in Prague the instrument is beautifully hand rubbed with old world antique oil varnish. 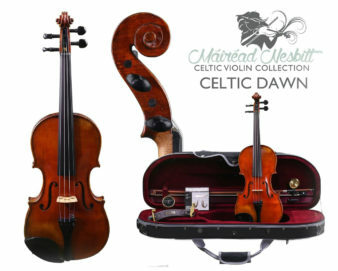 The instrument is constructed with highly seasoned fine vertical grained European spruce top, a highly seasoned European figured flamed maple back and sides, and a figured maple neck and scroll. 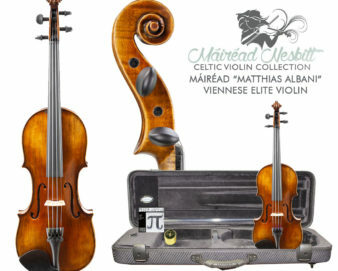 The instrument is assembled with seasoned ebony fittings and tailpiece, one Wittner E-String adjuster, and a seasoned artist Aubert maple Bridge. 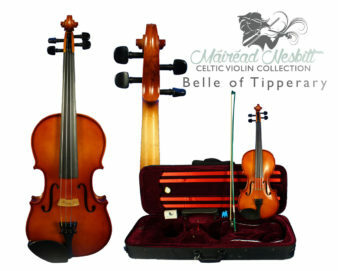 The Hibernia model features Thomastik Peter Infield strings, offering a wide dynamic range, intense and brilliant colorization, and quick response… it includes a protective deluxe wood shell oblong case with 4 bow holders; a German made Dofler Brazilwood bow, Kolstein rosin, a Kun violin shoulder rest and a Tourte violin mute.